Although our services revolve much around digital marketing, good old ink & paper is still an important and powerful medium. It’s even better when combined with online messaging. We love online marketing because when people are searching the web for something, they’re usually well into the buying or decision-making process. We love direct mail because we can choose a target audience most likely to be our ideal customers. For LOCAL BUSINESSES (business who serve their local community) we recommend targeting New Movers. Homeowners of a particular income level or home value. These criteria permit you to get a tight focus on the type of people who are the most likely to match your ideal customer avatar. New movers will surely be looking for places to eat, shop, get their hair cut, coffee, perhaps to exercise, get a massage, their clothes dry cleaned and so on. Those businesses who show up in the mailbox in the early days with a greeting and an offer will be well-positioned to be patronized. We love postcard mailing because the recipient MUST see it. It need not be opened in order to see the content. Post cards are cheap to print and cheap to mail. Properly designed, the postcard gives ample space for a good message and multiple offers. Bringing the company website into the marketing mix is important when advertising in print. Most businesses don’t do a good job in this area. The printed material can only carry so much of a load but a website can really expand on a subject PLUS make more offers and generate leads. When you call on Small Business U to assist in direct mail marketing, we bring good ideas, from experience, to amplify your message and maximize results. 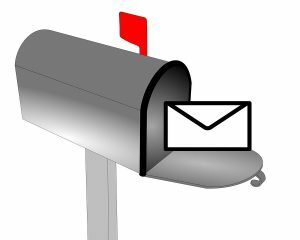 Call us at 1-866-799-2825 to discuss your direct mail marketing plans.